ESSEX Police has arrested three men following reports of an aggravated burglary in Cromwell Road, Grays, at around 2.35am today, Tuesday, December 4. A spokesperson said: “We arrived at the scene to find three people inside the property and a man suffering facial injuries. “An 18-year-old man was arrested at the scene and the other two men ran away. 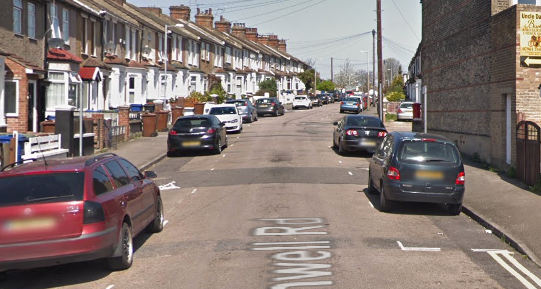 “The men, aged 19 and 20, were located in Hogg Lane, Grays, with assistance from the police helicopter. “They remain in custody for questioning”. 3 Responses to "Three men arrested on suspicion of aggravated burglary in Grays"
do they live in moore avenue?. Whats happening to this Borough, the elderly attacked in their home at 02-30 am, Hope he pulls through from his injuries, the same week drug pushers jailed for carrying a shotgun. It is the victim of the looney left wing namby pamby policies…that’s what.